This subpackage contains tools to generate kernels for matching point spread functions (PSFs). 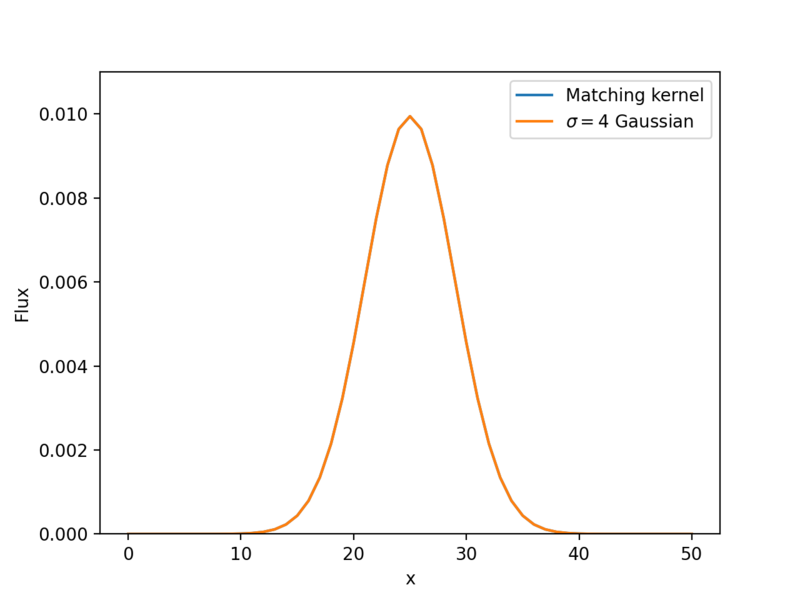 Photutils provides a function called create_matching_kernel() that generates a matching kernel between two PSFs using the ratio of Fourier transforms (see e.g., Gordon et al. 2008; Aniano et al. 2011). 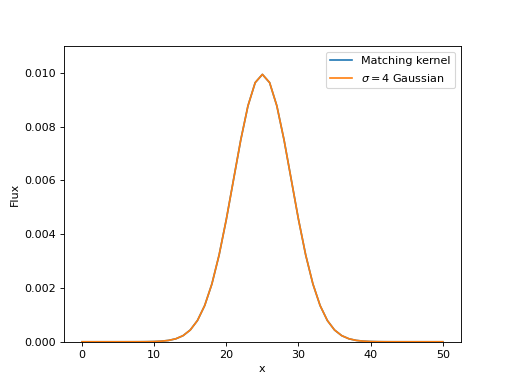 For these 2D Gaussians, the matching kernel should be a 2D Gaussian with \(\sigma=4\) (sqrt(5**2 - 3**2)). 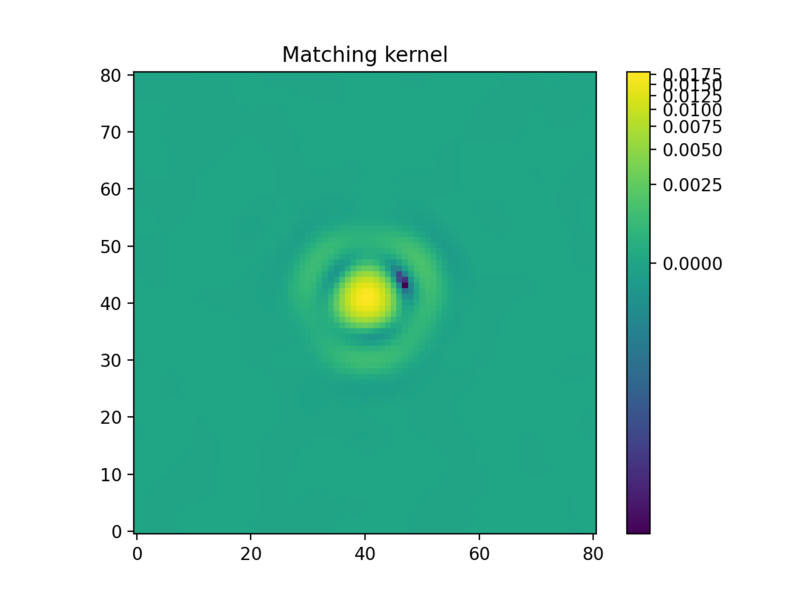 Let’s create the matching kernel using a Fourier ratio method. 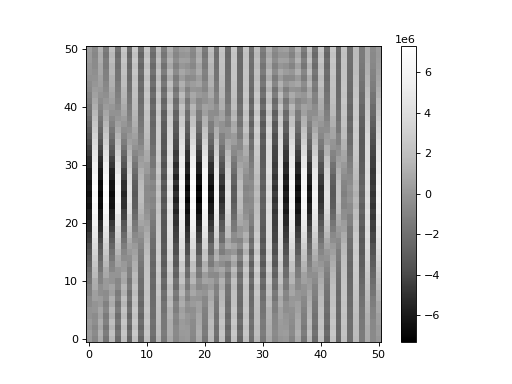 Note that the input source and target PSFs must have the same shape and pixel scale. We quickly observe that the result is not as expected. 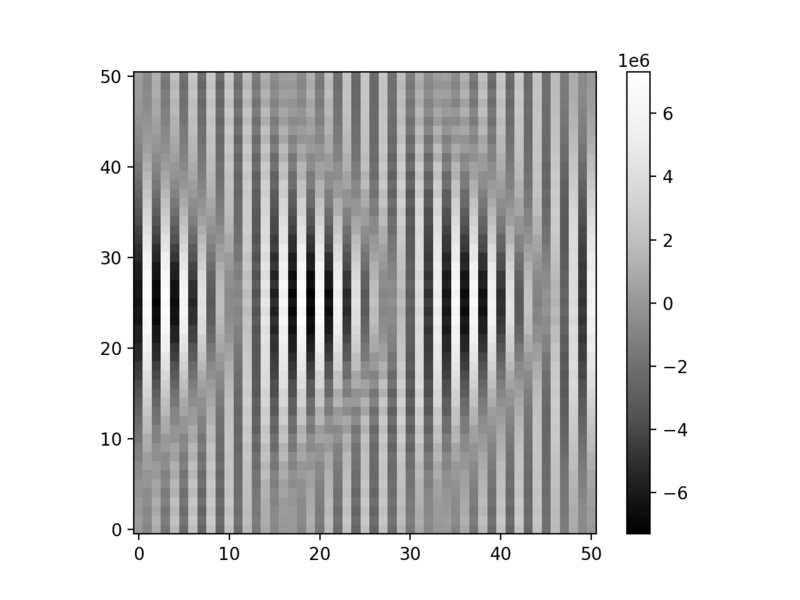 This is because of high-frequency noise in the Fourier transforms (even though these are noiseless PSFs, there is floating-point noise in the ratios). 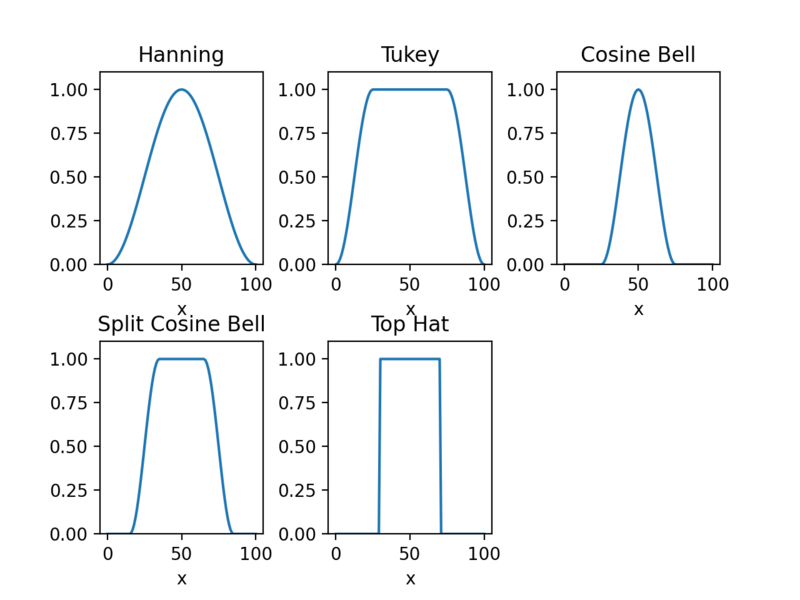 Using the Fourier ratio method, one must filter the high-frequency noise from the Fourier ratios. This is performed by inputing a window function, which may be a function or a callable object. In general, the user will need to exercise some care when defining a window function. For more information, please see Aniano et al. 2011. However, the user may input any function or callable object to generate a custom window function. For this example, we will use the CosineBellWindow for the low-pass window. Also note that these Spitzer/IRAC channel 1 and 4 PSFs have the same shape and pixel scale. If that is not the case, one can use the resize_psf() convenience function to resize a PSF image. Typically one would interpolate the lower-resolution PSF to the same size as the higher-resolution PSF. 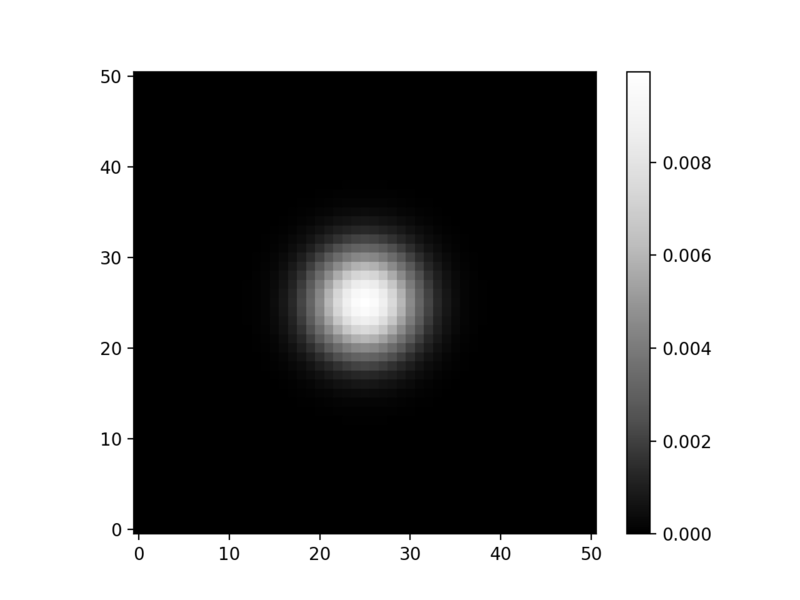 The Spitzer/IRAC channel 1 image could then be convolved with this matching kernel to produce an image with the same resolution as the channel 4 image. 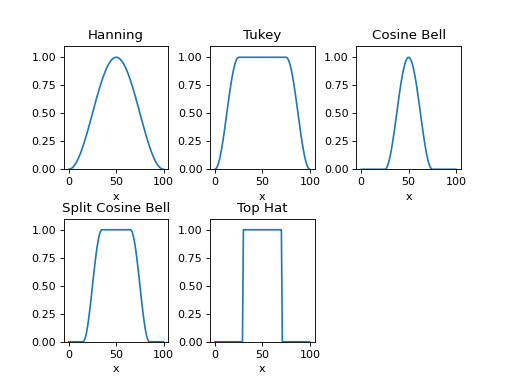 This subpackage contains modules and packages to generate kernels for matching point spread functions.